Early Tudor carpenters used to lay the floor joists on their side instead of the later centuries much stronger method of putting the timbers upright. Lying the timbers on their side meant that they lacked strength & were likely to sag. You can get an idea of this by taking a wooden ruler & although it will bend easily on the flat side it will not bend the other way. 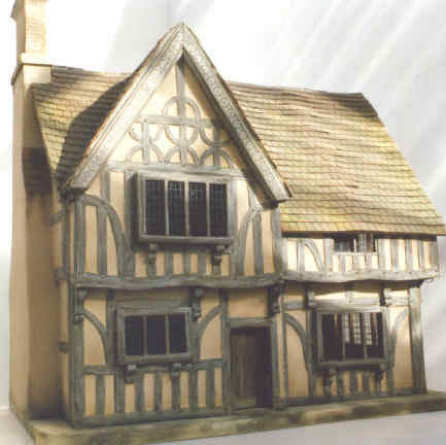 The reason for this was because of the early Tudors methods of fitting the floorboards, the joists had a rebate cut along each side into which fitted a floorboard so that the joists themselves became part of the floor. Floorboards could be 20" or more wide & were considered valuable enough to take with you when you sold the house !